“Tomato Soup” oil on canvas, ©2015 PJ Cook. Tomato soup anyone? 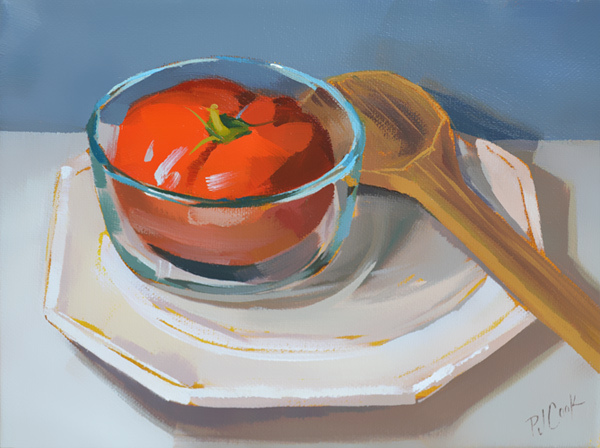 This original oil features a juicy tomato sitting in a clear glass bowl. Tomato Soup is a still life featuring a clear glass bowl with a tomato inside. There is also a wooden spoon and a white plate in this still life. This is an oil on stretched canvas original painting.